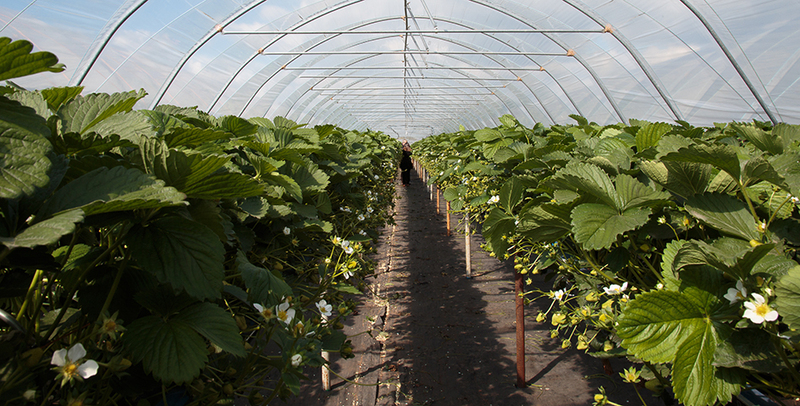 British Summer Fruits has warned that the latest official net migration figures from the Office of National Statistics are evidence of the damage that Brexit is causing to the UK soft fruit sector. The migration figures showed a fall in net migration of 81,000 to 246,000 in the 12 months to March 2017, with an additional 33,000 leaving the country during the period. Most of these were EU citizens, with EU net migration falling by 51,000 to 127,000 within the period. “The new figures released today on net migration are worrying evidence of the impact Brexit will have on EU nationals working in Britain,” said Laurence Olins, chairman of British Summer Fruits. “For the soft fruit industry, this confirms our own recent data, which shows that in some areas up to 20 percent of seasonal workers are leaving our farms and returning home due to the uncertainly of Brexit and the fall of the pound against the euro. “In addition, recent data that we have collected reveals that nearly 80 percent of our growers have experienced early leavers and nearly 50 percent of growers put this down to Brexit. Brexit is already having a negative impact on our industry.” He called on the government to work faster to resolve the issue, for example by introducing a new Seasonal Workers Permit scheme. Photo Caption: The soft fruit industry is concerned that a loss of EU migrants could lead to harvesting problems.